Within the project ‘ Drugs in the Eye of Jerusalemite Mothers, Wives and Sisters’ which implemented by Burj Al-Luqluq; funded by Kuwaitis Committee for Jerusalem and with the cooperation of Women’s Center in Shu’fat Camp and Al-Maqdese for Society Development. Twenty five full food basket were given to participated women in two phases. The first was granted to women whom are living inside the wall territories ‘ Jerusalem and surrounding areas, the second was granted to women whom are living outside the wall territories ‘West Bank – Shu’fat Camp’. It’s worth mentioning that what have been granted to participants come in the aim of helping and reducing the financial burden of expenses and supplements within Ramadan and specially for financial faced pressures and highly standard of living levels. The food baskets contained most of mortal main supplements for participated families and specially what they needed for the precious month ‘The Blessed Ramadan’. 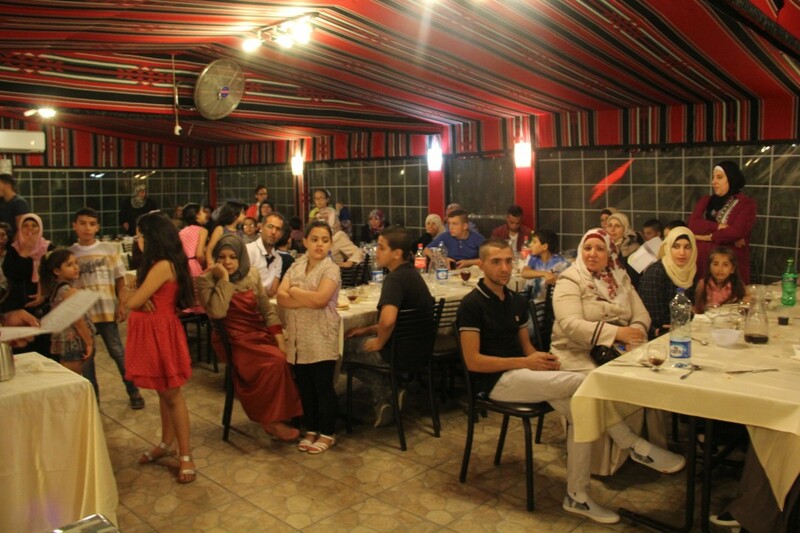 Moreover, Ramadan’s event was conducted in Petra Gardens restaurant in Al-Sheikh Jarah on Monday dated in 20/06/2016. The event contained group breakfast for the participants and their companions and contained also a quiz night program with gifts and presents.